After take-off the aircraft is radar-identified and transferred from Tower control to Approach control who then guides the aircraft through the TMA to the first waypoint (VOR or intersection) at or outside the TMA boundary. The aircraft may thereafter follow the published SID (Standard instrument departure) issued before take-off, or deviate from the SID and given radar-vectors by the approach controller. When the aircraft is reaching the TMA boundary, it is then transferred to the adjacent area control units, who then guide the aircraft through the airways. 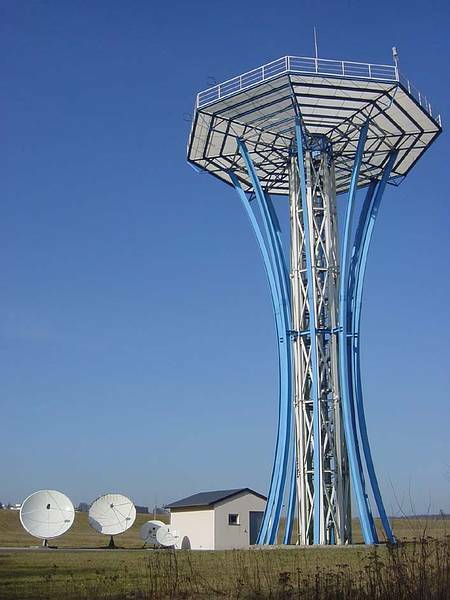 SID, STAR, Approach and Aerodrome charts of ELLX are published in the AIP (Aeronautical Information Publication) of Luxembourg/Belgium FIR. 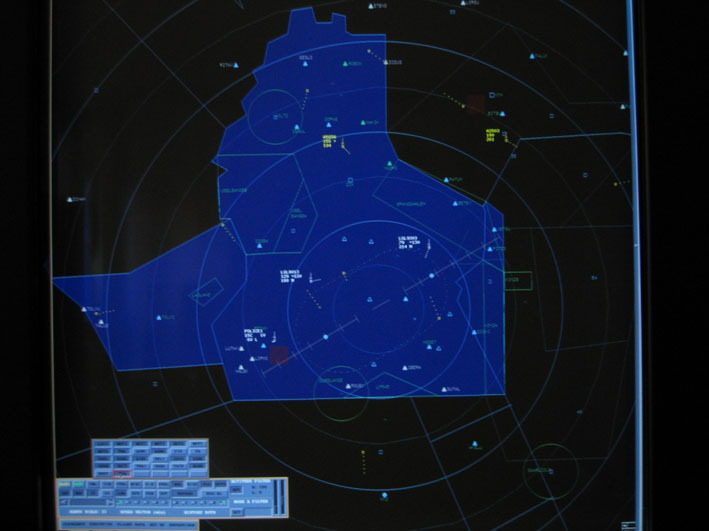 When an aircraft is approaching Luxembourg (+/- 40 NM), the adjacent area control unit transfers the aircraft to Luxembourg Approach who then radar vector the aircraft to the ILS (Instrument Landing System) of the runway in use or to a point from where the pilot can see the runway and perform a “visual approach”, respecting the local restrictions for this kind of approach. When the aircraft is established on the ILS or ready for a “visual approach”, it is then transferred to Tower control, who issue the “landing clearance” to the aircraft and after landing guide the aircraft to its position on the parking. When several aircraft are approaching Luxembourg at the same time, the approach controller has to “sequence” those aircraft and line them up on the ILS in a safe and expeditious order with sufficient separation between them to perform the landing and vacate the runway before the following aircraft is landing. 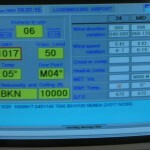 Those separations are varying in respect of the aircraft types and weight categories (light, medium, heavy) and the actual weather and visibility conditions. When traffic becomes very busy, or when the airport is closed (fog, snow removal, blocked runway,…), the approach controller has to use the holding stack overhead Diekirch (DIK-VOR) and delay the approach of the aircraft as long as necessary, or coordinate diversions to alternate airports, if requested by the captain. 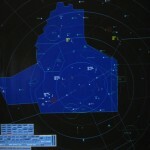 All aircraft overflying Luxembourg and passing through Luxembourg TMA are controlled by the approach controller. The aircraft is transferred from an adjacent area control unit to Luxembourg Approach, and when leaving the TMA transferred to the next adjacent area control unit. All IFR aircraft within Luxembourg TMA (departures, arrivals and overflights) have to be separated by at least 5 NM (nautical miles) horizontally or 1000 feet vertically. (5 NM=9,26km and 1000feet=300m). This separation may only be reduced when they have each other in sight or in case of emergency. 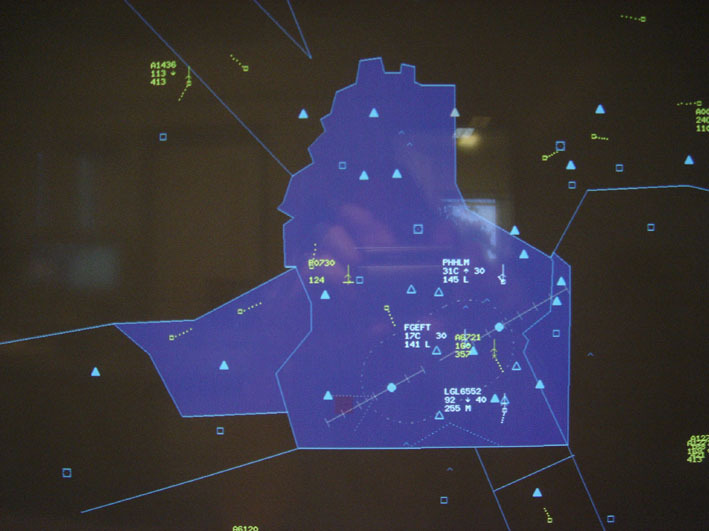 Beside the compulsory separations between IFR aircraft, Luxembourg approach control unit is providing other information to their airspace users. Information of other traffic, gliders, parachute jumpers, balloons or IFR aircraft is given to all VFR traffic. Every possible assistance is given to aircraft in emergency. The lateral limits of Luxembourg TMA (Terminal area) are within the countrys’ borders + some parts of “foreign” territory along the German, Belgium and French borders. 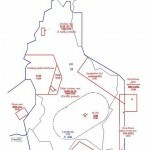 Those airspaces have been delegated to Luxembourg approach on the bases of agreements because Luxembourg territory alone is too small to give a satisfactory service to aircraft, especially when more aircraft are radar-vectored to the runway. The vertical limits of Luxembourg TMA are 2500 feet and flight level 165 in the southern part(TMA1A) and 3500 feet and flight level 145 in the northern part( TMA1B). 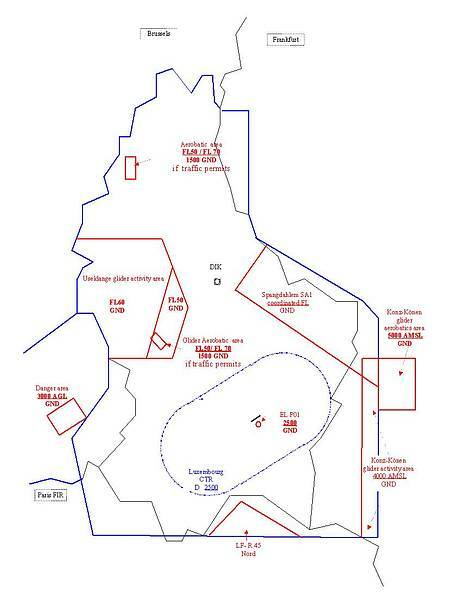 The airspace outside Luxembourg CTR (Control zone) and below 2500 feet (below 3500 feet in the north) is uncontrolled airspace, class G.
Brussels ACC (area control centre) to the north; north-west and above our TMA. 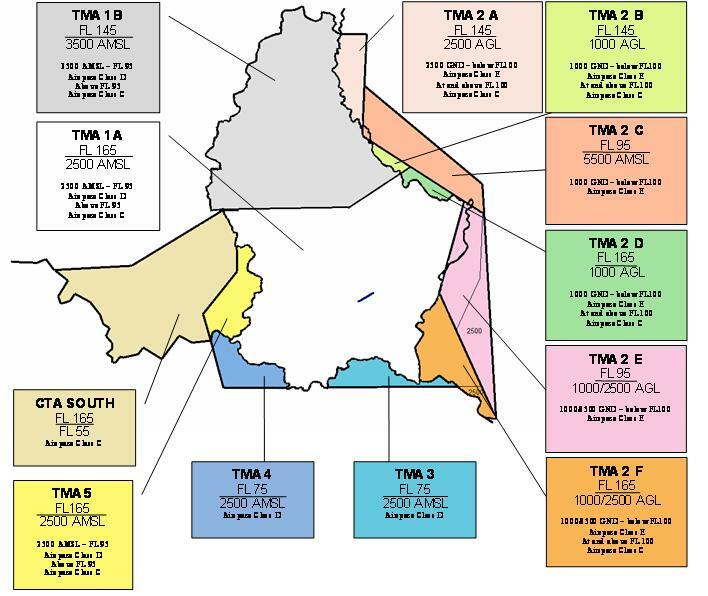 Langen ACC to the east and south-east of our TMA. 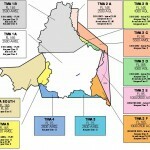 Reims ACC to the south of our TMA. Paris ACC to the west of our TMA. 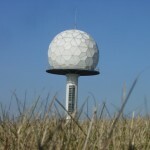 Belgian military (Belga Radar) to the west of our TMA. Metz (Nancy-Lorraine + Frescaty airports) TMA to the south of our TMA. Useldange glider box, airspace around Useldange from ground to FL 60, delegated temporarily to the Useldange glider club (CLVV) for gliding activity. Noertrange parachute jumping area, airspace used by parachute jumpers up to FL 140 maximum. Konz-Könen glider box, airspace around Konz (Germany) from ground to 4000 feet, delegated temporarily to the Konz glider club for gliding activity. Saarlouis parachute jumping area, airspace around Saarlouis (Germany) used by parachute jumpers up to FL 140 maximum. Special airspace (SA1 and SA2), used temporarily by Spangdahlem up to 5000 feet AMSL. 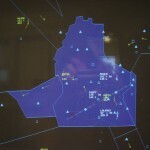 Luxembourg Approach control is connected to the major adjacent sectors and Luxembourg Tower via the Alenia-Marconi driven FDP (flight data processor) system. The exchange of data (flight plan and current data) and automatic coordination is done via the OLDI system (On-line data interchange). Most data is exchanged via this system. However, in case of failure or exchange of non-standard data or procedures, direct telephone lines are available to all units concerned. 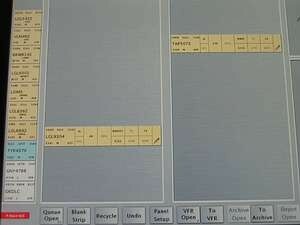 At the moment, flight plan data for the controllers are printed onto paper strips and organised in “strip bays” at the controllers working position. A new system with “smart strips”, elaborated by Frequentis, will be implemented in the near future and after a transition phase replace the paper strips. 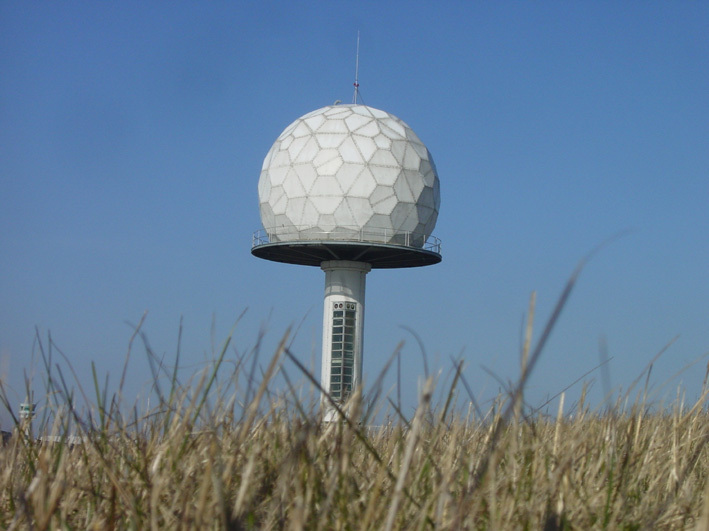 In the event of failure of the luxembourg radar system, MRT (Multi Radar Tracking) data can be obtained from those radars, in order to guarantee a safe continuation of traffic without interruption. 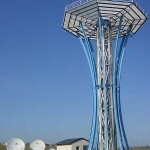 The radar antennas are located at the south-west part of the airport.